We supply a wide line of Electro Forged Gratings for our customers. Superior quality mild steel is used for manufacturing these floor gratings. The parallel bearing bars with cross bars make the assembled grid. Our engineering department, equipped with the latest AutoCad facilities, can design the shaped gratings to meet your exact requirement. 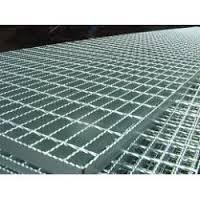 They will assist you in specifying the correct type of grating to suit your application. Load tables for the most common sizes are mentioned in the following page (Performance Table). We would also project manage the supply of our gratings to meet your technical and schedule requirements. 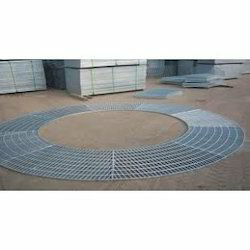 Standard gratings are typically available in 6m x 1m or 20'x3' panels. Load bearing bars of width 20mm to 70mm and thickness 3mm to 6mm can be used. Bars can be plain or with a serrated edge finish of various depth. Panels are available self colour or with a galvarized coating to international standards. Looking for Electro Forged Steel Gratings ?